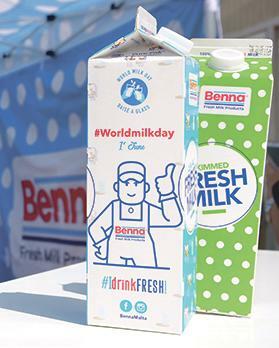 All Benna’s dairy products bar fresh milk have gone up in price, marking the first change to the company’s price list in six years. The increases, which came into effect on Saturday, vary from 5c for yoghurts to €1.60 for a kilo of ġbejna, The Sunday Times of Malta can confirm. For months, distributors and grocery stores have warned their customers that they should expect a rise in the price of milk and other dairy products. The dairy company, however, has repeatedly insisted that such information is “strictly confidential” and has refused to comment on the rumours. However, contacted on Saturday in the wake of more media reports about a price hike, a spokesman for Malta Dairy Products confirmed that a series of changes had been carried out. The prices, the spokesman said, came into effect on Saturday. “In the past years raw material cost pressures have risen to a high level and, after having held our price structure without change for a record six years, we are at last forced to increase some of our prices,” he said. He said that while some increases were minor, in other cases the cost of international cereal prices had had a direct effect on the cost of feeds and in turn on the cost of raw milk, leading to a significant rise in price “which is completely beyond the company’s control”. “At this point, we can no longer absorb these costs and we are constrained to increase our selling prices,” the spokesman said. The company hoped to keep prices “as stable as possible” in the coming years, he added, noting that Benna had been able to keep prices steady for so long by absorbing all the fluctuations. This was no longer possible. Distributors and grocery store owners have been informing their customers that the price of milk will go up in December. However, the spokesman said this has so far remained unchanged and he did not reply to the question of whether there were any plans for a price hike. In recent months, a shortage of milk has also made headlines as reports of empty store shelves made the rounds on social media, with customers complaining they were forced to stock up on imported brands instead of fresh, local milk. The company had admitted that the supply of raw milk was not meeting demand, adding that cows produced less milk during the hot summer months. Distributors and grocery store owners see this as a sign of an imminent rise in the price of milk. Malta Dairy Products is owned by the Milk Producers Cooperative (KPH), made up of 95 farmers.